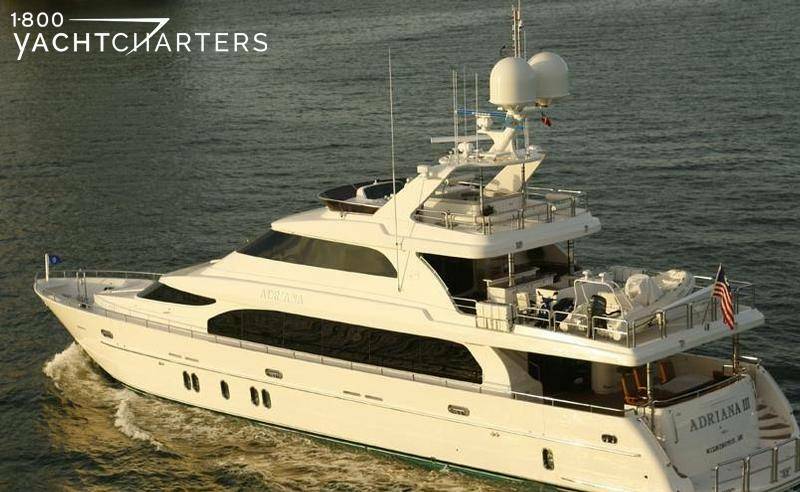 The 33.8 meter motor yacht ADRIANA III has long been a fixture in the Mediterranean yacht charter marketplace, as well as in New England. 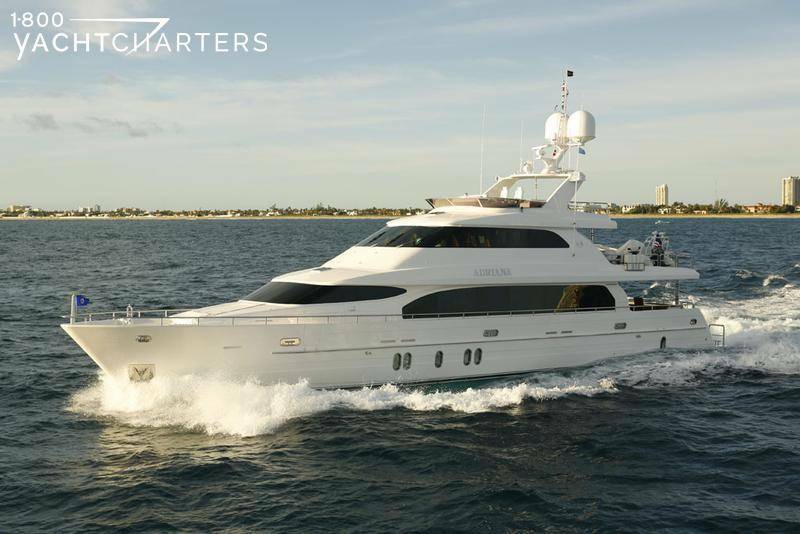 Her manageable size and draft allow her access to protected coves – she can go where larger megayachts cannot. 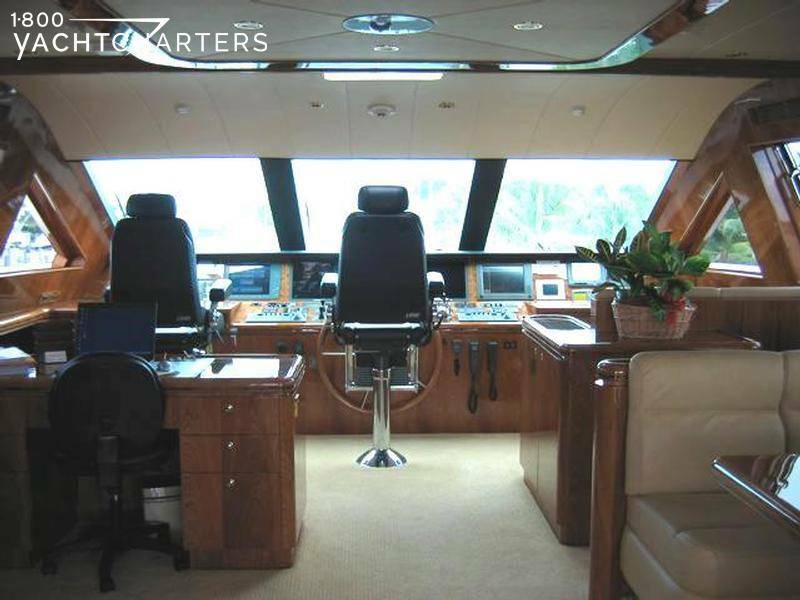 Built in Taiwan, Horizon 110 yacht ADRIANA III is fully MCA compliant, which means she meets stringent safety standards – a welcoming notion for potential charter clients. 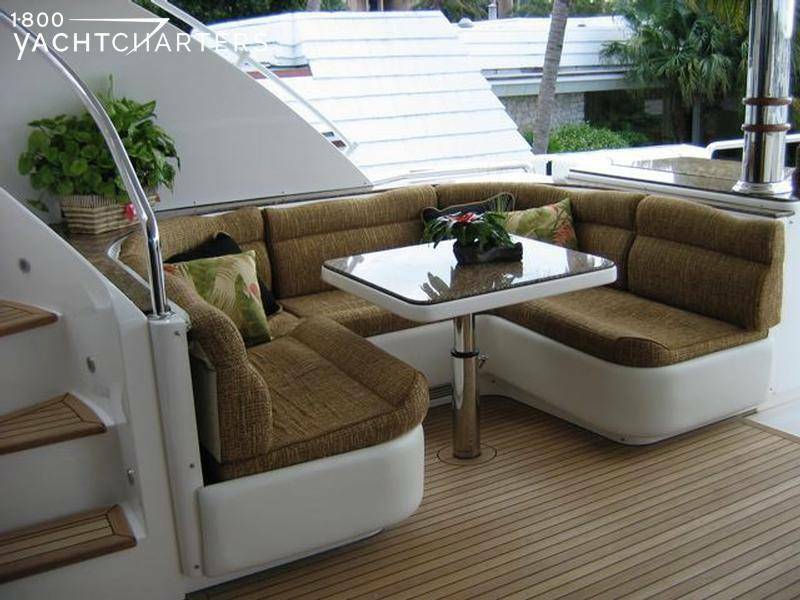 The yacht is capable of a top speed of 18 knots, and cruises at 14 knots. 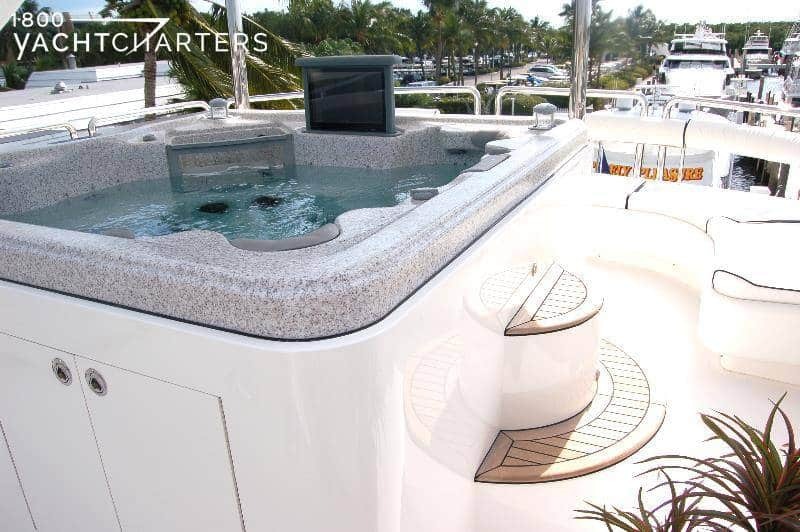 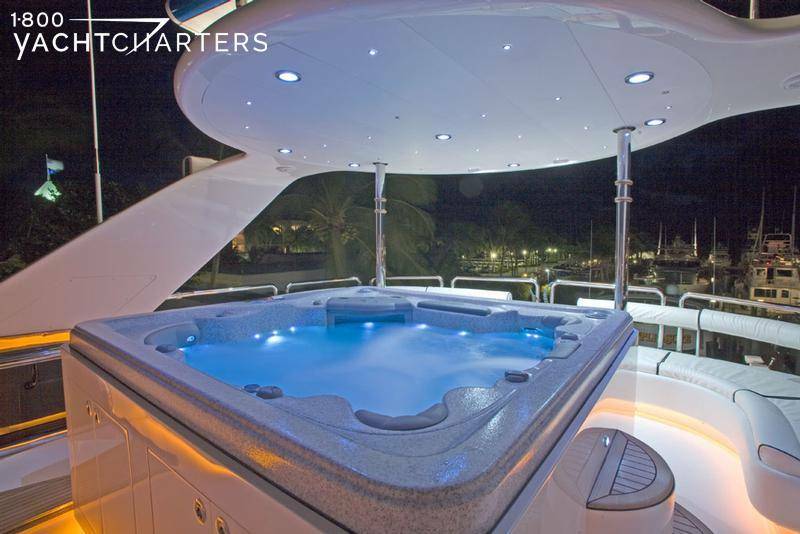 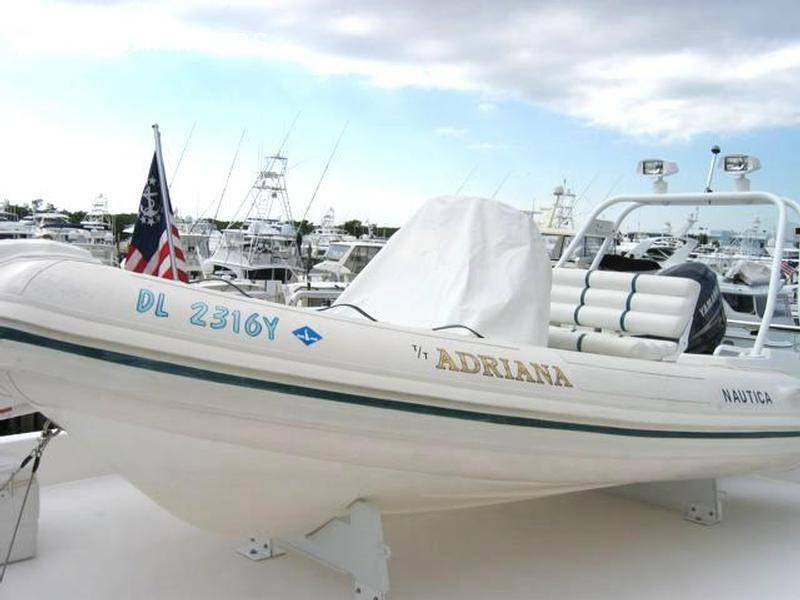 Relocating for New England yacht charters in the summer months, mega yacht ADRIANA III offers a versatile sun deck with outdoor barbeque, large sun pads and an on-deck Jacuzzi style hot tub. 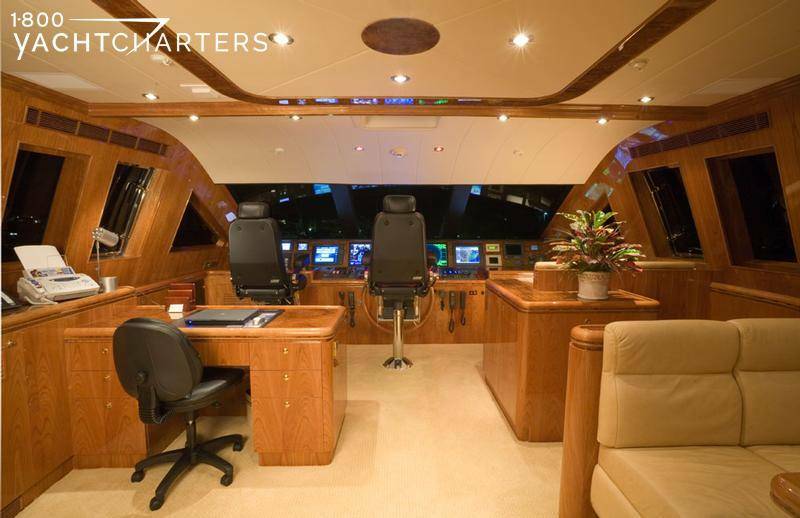 An in-house design team is responsible for the naval architecture of all Horizon 110 models, and this vessel’s sophisticated exterior appearance is a real head-turner. 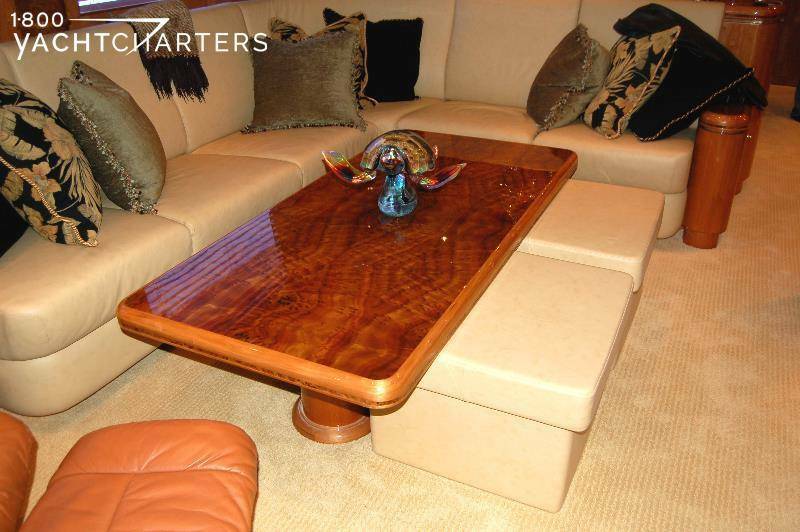 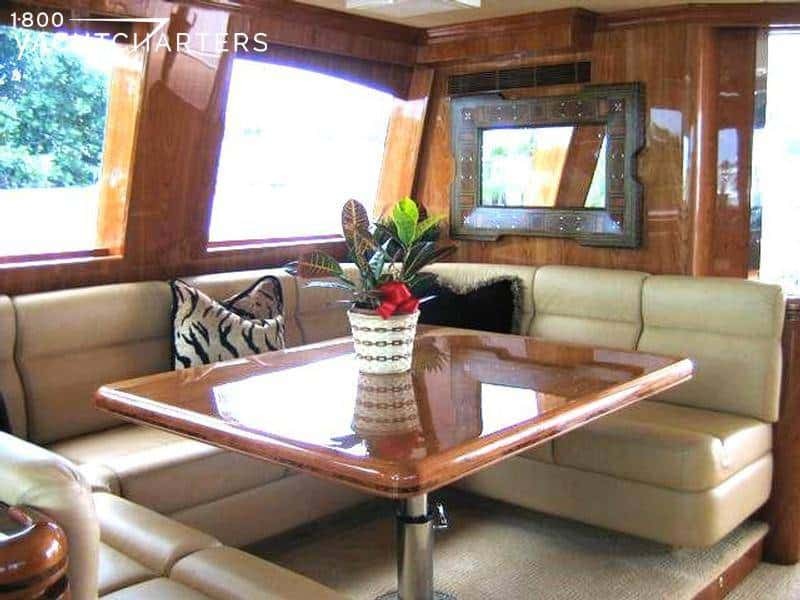 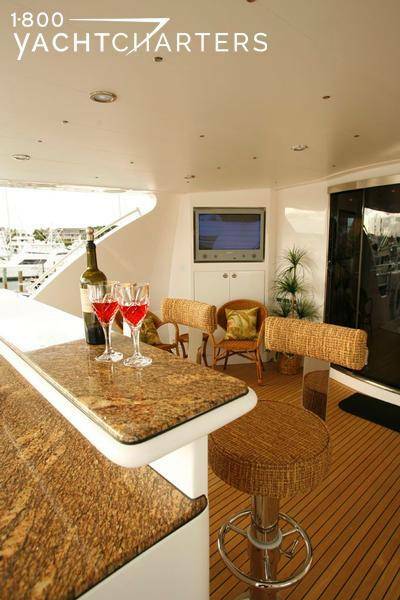 Luxury yacht interior styling is credited to Juan-Carlos Espinosa Studios. 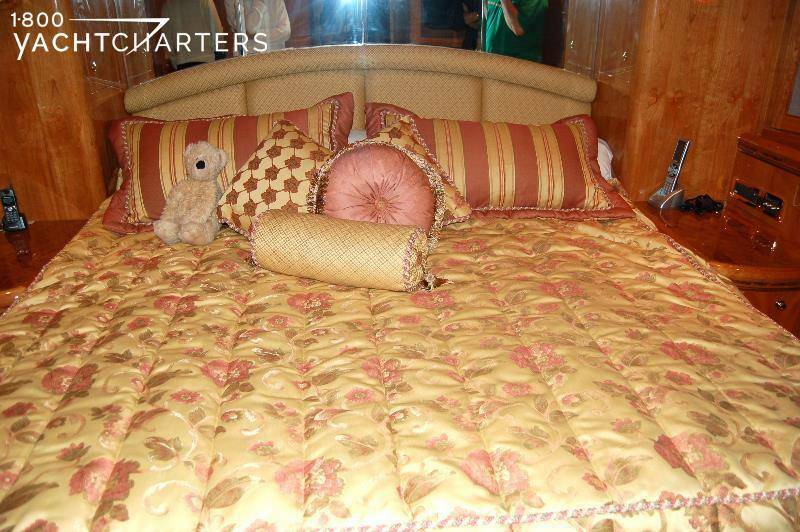 Accommodations are available for up to 8 guests. 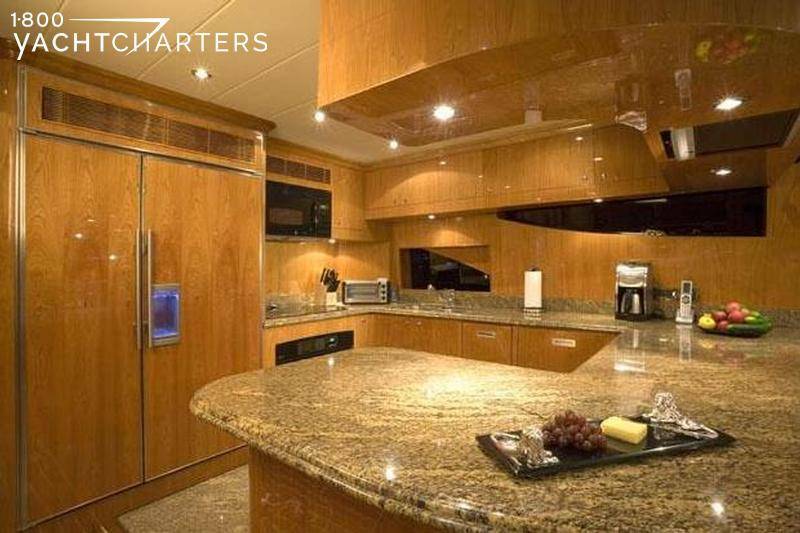 The combination of king, queen and single berths make this yacht the perfect choice for family vacations. 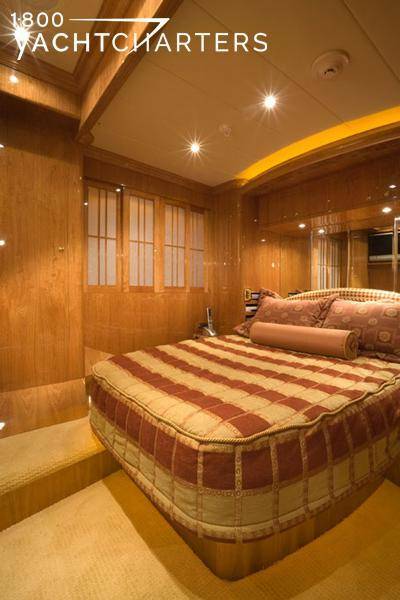 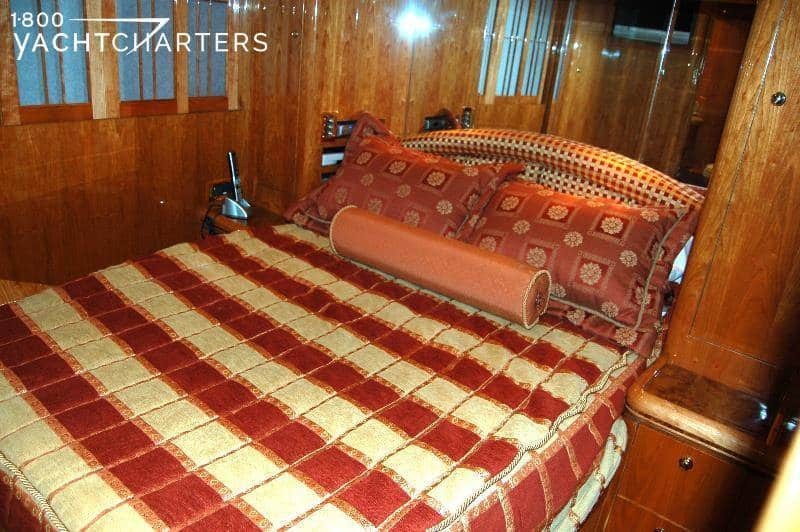 The master stateroom features a king-sized bed, bathtub, shower and toilet. 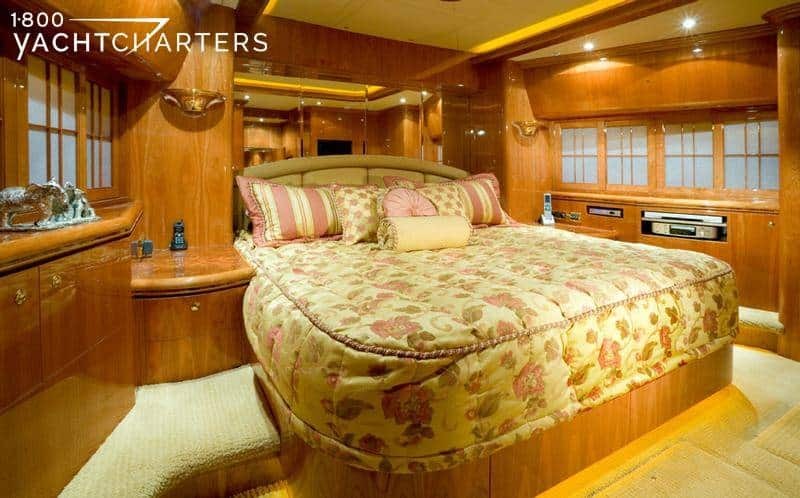 Guest cabin number 1 offers two twin beds, while cabin number 2 has a queen-sized bed, and the 3rd cabin offers a double bed. 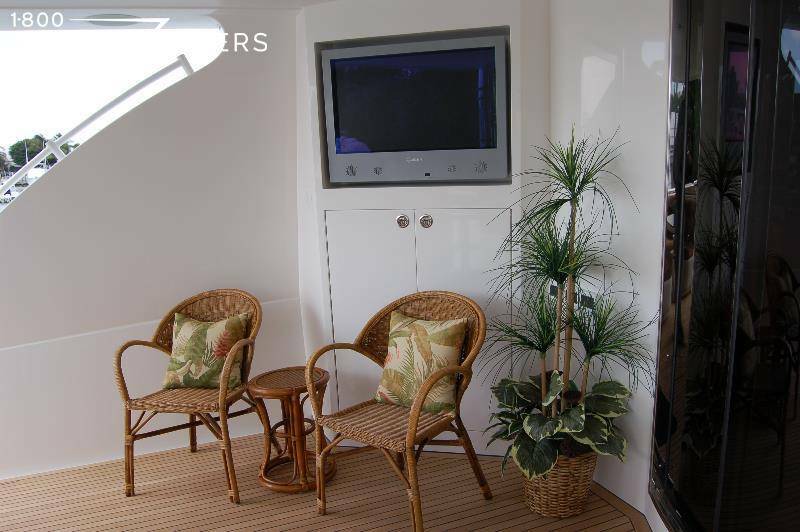 All guest cabins have ensuite bathrooms with showers. 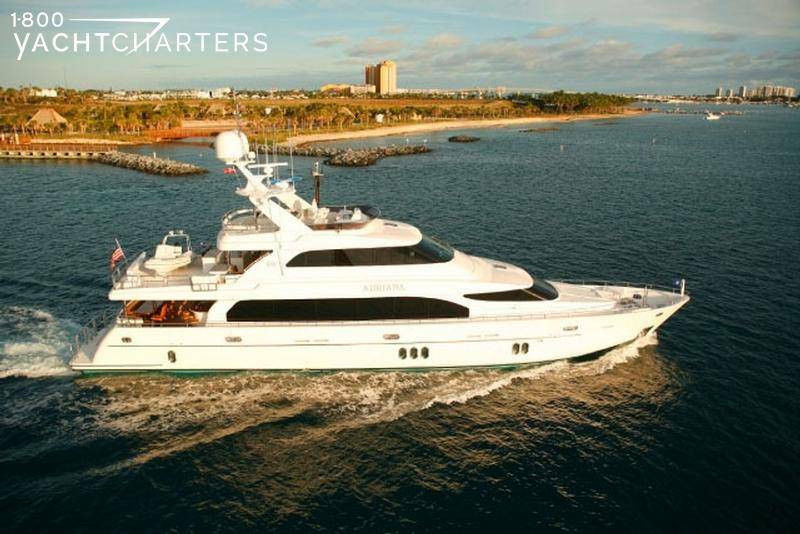 Fully-air conditioned (a must for summer cruising), indoor entertainment includes a Kaleidescape movie and music system with hundreds of digital songs and movie titles. 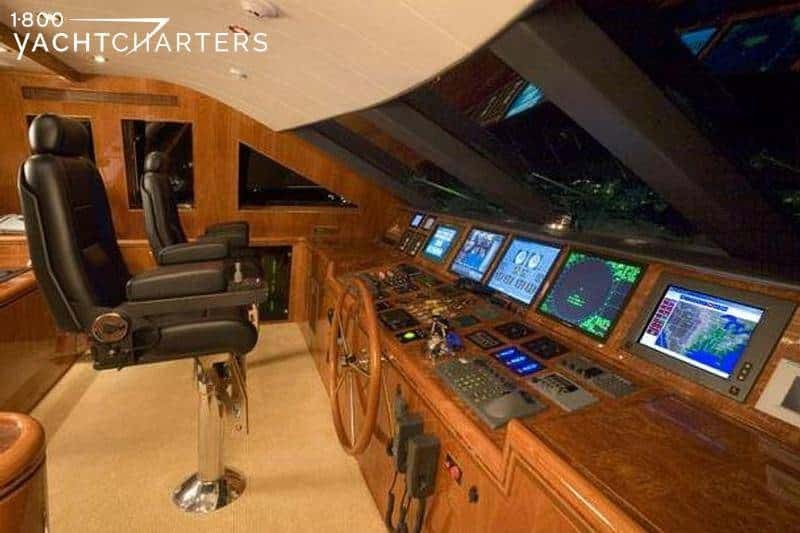 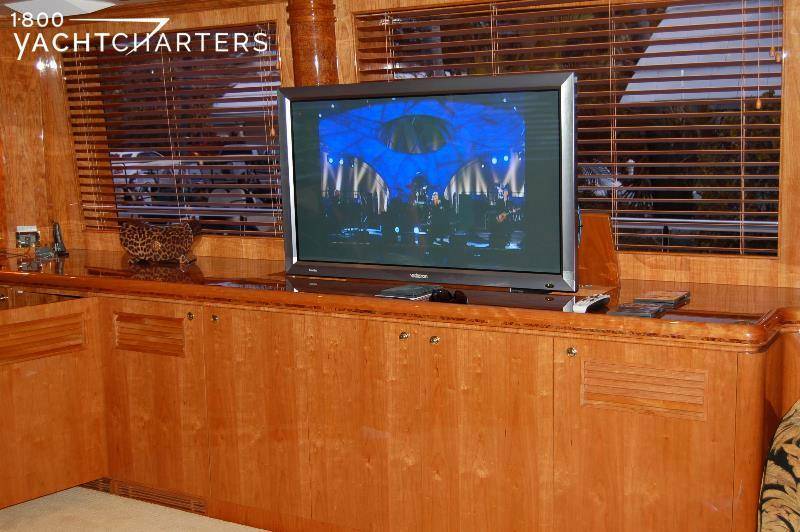 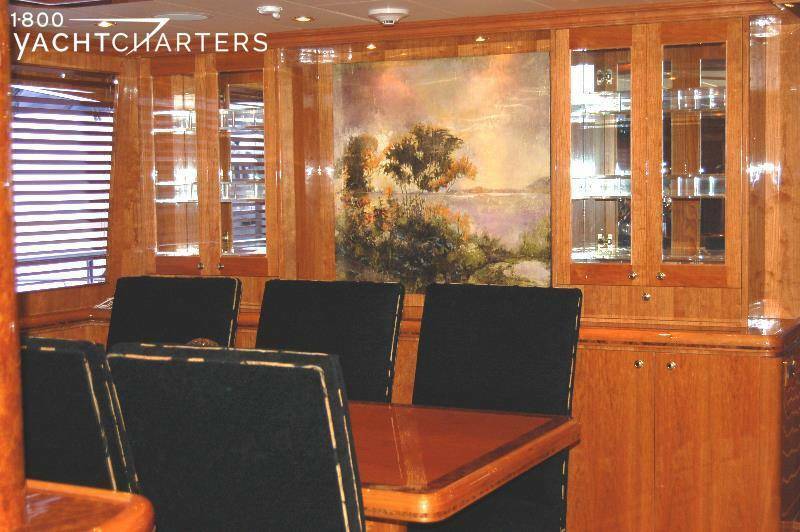 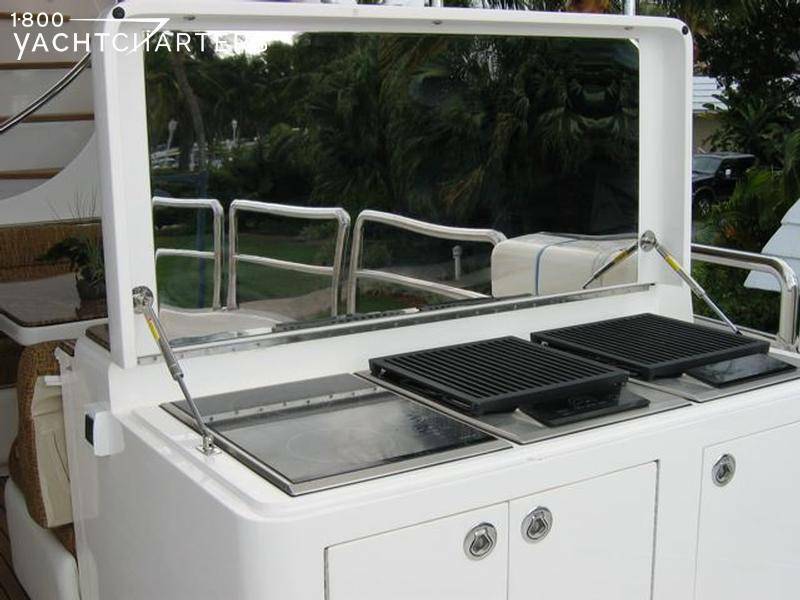 There are also multiple CD players and DVD players throughout the yacht, as well as satellite television.